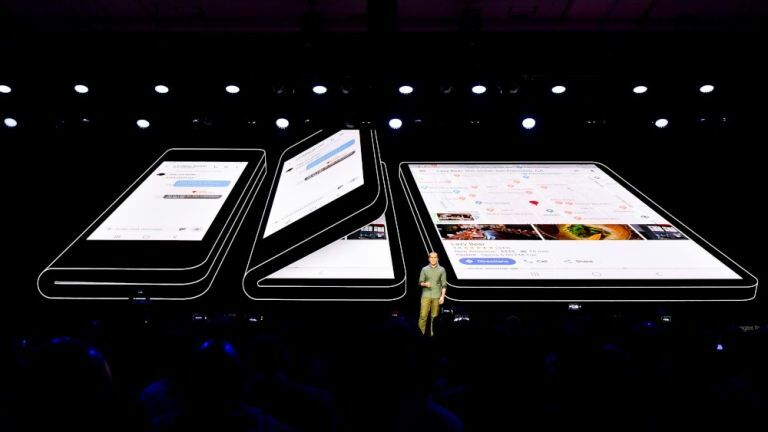 The Samsung Galaxy X foldable phone has leaked again and this time it's the colour variations which have been revealed early – and there are plenty of them. According to sources of Sam Mobile, sources which are allegedly in the South Korean carrier network, there are plenty of Galaxy X colours to pick from. This source would be the type to get these details early, in order to prepare for sales, so this makes sense. Of course you can expect Samsung's first foldable smartphone to come in classic black, but there are more options. Since this handset should only be made in limited numbers this colour variation comes as a bit of a surprise. Perhaps Samsung plans to charge a premium for certain colours to make them seem more exclusive and so more attractive. Whatever the plan, the Samsung Galaxy X is rumored to appear in black, silver, blue and green colours. Also rumoured is 5G connectivity, but this is likely for South Korea only with the US and Europe left wanting. That said, Samsung should offer a 5G phone fix for everyone else in the form of its Galaxy S10 which is expected to get launched, alongside the Galaxy X, at an official February 20 event.